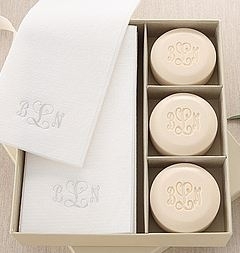 This soap and towel guest towel gift set is an ideal gift for just about anyone. Each Vermont made round guest bar is a 3 ounces, vegetable based and triple-milled for long lasting lather. Our bars are individually addressed & intricately carved. Our carving style, beyond engraving, is uniquely definitive with each bar elegantly presented. 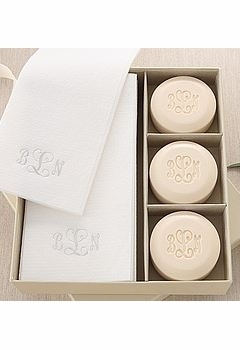 Each linen-like disposable guest towel is embossed to your desire; a timeless finish! 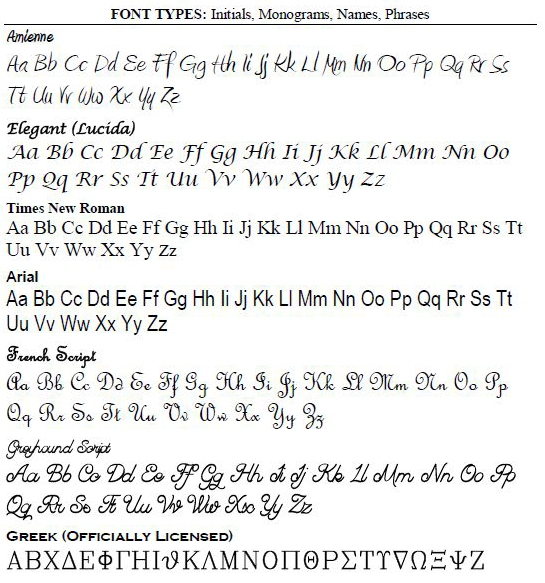 Different personalizations open up different font choices. INITIAL A single letter, perfect for all occasions. Design your gift specific to the recipient's preferences. 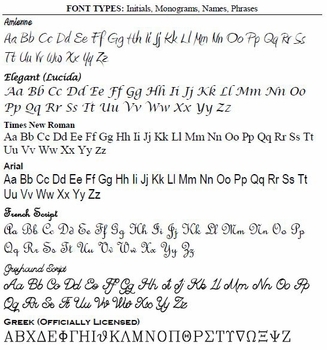 Enter desired initial then select fragrance and font type. MONOGRAM Monograms will be carved in the order you enter it (middle letter will be the larger of the 3). 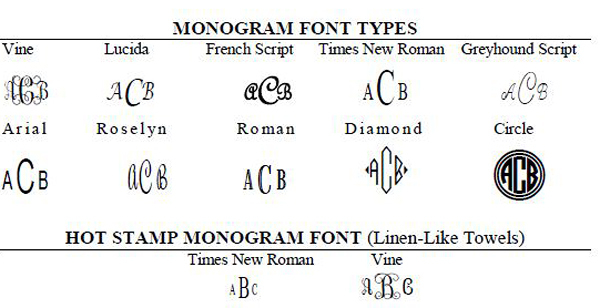 The monogram is a timeless classic! 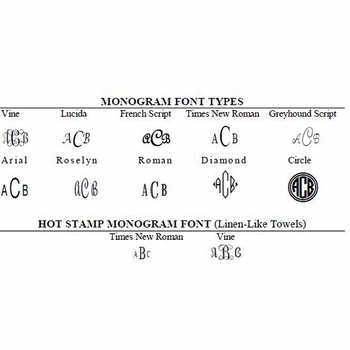 Enter desired monogram then selectfragrance and font type. Refresh, rejuvenate, and spoil with only the finest personalized soap deserving of your discerning taste. Our Designer Collection is a gorgeous blend of today's most intriguing and sought after colors & fragrances all in one! A complete sensory experience. Honey Almond: A Warm Beige is known for its balancing and relaxing. ***Limited Edition*** When they're gone...they're gone :-) Arrives in an elegant gift box.